Ikr?! Hikki’s coming up with a lot of new stuff and no one is here to talk about that. Also,where did you hear about her new album coming out in April? I understand if they’re busy but they should log in to check from time to time. I believe I heard mention of the release date from an @hikkistaff tweet on Twitter. That's about the only place I've gotten updated news about Hikki is via either her Twitter, Instagram, or @hikkistaff. Her new website is updated fairly regularly also. She does look very much like her mother these days. I believe partly it's because she may have lost a good deal of weight when her mother died, due to grief. She also seems to have a strong exercise plan which is inferred by how fit she seems in her Forevermore video. There are probably more factors at work there, but yes, she is still very beautiful, and I can't wait to listen to her New album! Uhh...hello there relatively new guys. I am Giga. Nice to meet you. For me, many things have changed since originally joining to my eventual departure. I guess one of the biggest factors as to why I left was her hiatus. I remember watching Wildlife concert and that was one of the happiest moments in the fandom, because it was being streamed live and a bunch of our members were watching it together from whatever part of the world. It was a very intimate moment as we were all connected and heart broken at the same time (going to the In the Flesh" tour in Las Vegas was another highlight for me). After her departure from music I needed something to fill me and that's how I discovered Korean music. I found a new fandom, but eventually I became fed up with the Korean music scene and I left that as well. Over the years I slowly but surely listened to Hikaru less and less. All of her discography sits on my PC, which is rarely used. All of the CD's/DVD's/Singles sit in my closet along with the movies I once collected. I still support her and keep buying her stuff, but the flame of excitement I once upon a time felt is no longer burning passionately. I do ghost around the website a handful of times through the year, mainly to remember the past and see the almost non-existent activity. Everyone that was once here is busy with life. We're not in our teens and early 20's anymore, a lot of our members keep in contact with one another through FB and it's lovely seeing how they've grown or have started families of their own. Our Administrator Q; has always been a busy person and I believe that to be the case even now. Q, if you're reading. I wish you the best. I can't say I'm necessarily looking forward to the new album this time around; as I haven't really bothered looking for the details or anything of the sort, but it will eventually make it's way into my hands once it's out. Hopefully that'll reignite my flame. It does make me extremely happy knowing there's newer members wishing for this place to thrive with activity once more. I would like the same thing to happen, to see people enjoying themselves in the first place that became my internet home forever ago. To all of you; many thanks and take care. See you around!!! It too makes me happy to see that some of you new folks on here are working to make this place thrive again. So much has changed over time, but I made a promise to myself that I'd try to be more active on here. I'm also really looking forward to her new album and I cannot wait to see what music video(s) she releases. Keep in touch, everyone! 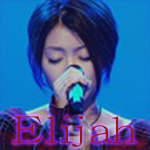 PS: There's a wonderful group on Facebook that I follow that is dedicated to Hikki, called: 宇多田ヒカル - Utada Hikaru JAPAN. It's actually quite active and has about 2.6k followers. Check it out if you guys have the chance! Latest picture of her attending a birthday party. And yeah I understand, it is really hard to keep a fan site active while your busy in life. Anyway,good to see people still checking on this site! It’s an debut album by Obukuro Nariaki which Hikki is going to produce!